Veronica Bidwell is an educational psychologist with expert knowledge of Specific Learning Difficulties. She has been involved in education for over 30 years and has worked as both psychologist and teacher in mainstream and special schools. 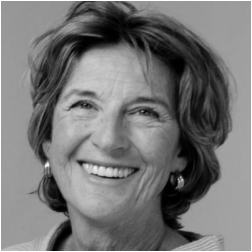 In the late 90s she set up and ran a leading independent educational psychology service based in London. She has assessed and worked with many hundreds of pupils and has given support and advice to their parents and teachers. She has developed and delivered numerous training courses for parents and professionals and has contributed to Dystalk, the leading learning difficulty website offering a series of talks given by experts in their field. She is currently a governor at Fairley House School, a leading independent specialist school catering for pupils aged 6 to 16 with dyslexia and dyspraxia. She has served as chairman of the trustees at the Kensington Dyslexia Centre. Veronica is a chartered educational psychologist with an Honours degree in Psychology from Bedford College, London University, a Masters degree in Educational Psychology from University College, London and a postgraduate certificate in Education. 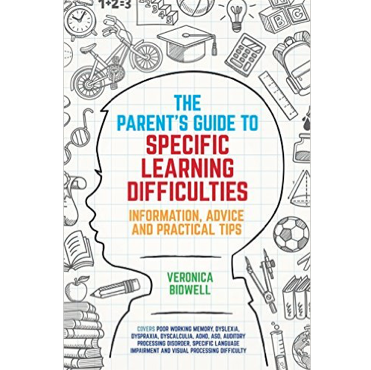 THE PARENT'S GUIDE TO SPECIFIC LEARNING DIFFICULTIES: INFORMATION, ADVICE AND PRACTICAL TIPS (Jessica Kingsley Publishers, 2016) is the book she has wished over the years to give to parents, teachers and other learning support professionals. It covers all the various labels that parents can be faced with, from dyslexia to visual processing to dyspraxia and ADHD. Each one is described so that a parent can understand what it is, how it might overlap with another condition, and - most importantly - how to help a child do really well despite their difficulties. Follow Veronica Bidwell on Twitter. A treasure trove of useful information and practical advice for the parents of children with specific learning difficulties and anyone who teaches them. Difficult concepts are explained in ways that are easy to understand and chapters conclude with helpful key points. Filled to the brim with inspiring and interesting case studies that make it a fascinating read. It really is a must have.